Heracleum mantegazzianum is commonly known as giant hogweed. The “giant” part of its name is because it is huge. It can grow as much as 18 feet tall with compound leaves up to five feet in width! It is surprisingly pretty, with large clusters of white umbrella-shaped flowers growing along streams and rivers and in fields, forests, yards and roadsides. What makes it so nasty is that its sap is “phototoxic.” The combination of the sap with light causes a terrible burn. Initially, the skin turns red and starts itching. Blisters form within 48 hours. Eventually the skin in the affected area develop a black or purplish scar that can last several years. Even a small amount of sap in the eyes can lead to temporary or even permanent blindness. The chemical that causes the burns is not limited to the sap, but is also found to some degree in the leaves, roots, flowers, and seeds. If you come in contact with a giant hogweed plant, get out of the sun and wash immediately and thoroughly with soap and cold water. Exposed skin should be protected from the sun for several days. The affected area of skin may remain sensitive to sunlight for a few years. If hogweed sap gets into the eyes, rinse them with water and wear sunglasses. Ironically, this plant was intentionally brought to Britain from Central Asia in the 19th century as an ornamental plant. Since then it has spread to other parts of Europe, the United States and Canada. It is more common in the eastern part of the United States, but has been moving west. It is not limited to the wilderness. 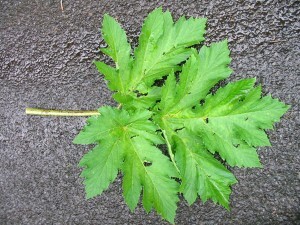 The city of New York issued a warning in July of 2011 to warn residents about giant hogweeds growing in the city. If you spot giant hogweed do not attempt to remove it yourself. Call the DNR for a professional or local authority who can properly destroy the plant and its seeds. The reason I am dealing with giant hogweed is not because it is so prolific in this area but that there are many similar looking plants that could be confused with it. While on a walk in northern Minnesota with my sister and sister-in-law I saw a large pretty wild flower. My sister-in-law thought it might be Queen Anne’s lace. We took pictures, looked it up later and discovered it was cow parsnip, Heracleum maximum, (aka "wild parsnip") a native plant often misidentified as giant hogweed. The two plants look very similar. Like giant hogweed cow parsnip can be large, up to seven feet tall, some say as much as ten feet. Both have umbel type of flowering heads. The stem and leaves differ, however. The stem of the giant hogweed is green with obvious purple blotches from which stiff white hairs arise. The similar but harmless cow parsnip usually has a green stem but can on occasion have purplish stems but they are not spotted. The stem of the cow parsnip is also ridged and covered with fine white hairs. Cow parsnip leaves are usually divided into three lobes and are more rounded than the leaves of giant hogweed. The giant hogweed's leaves are also deeply indented. 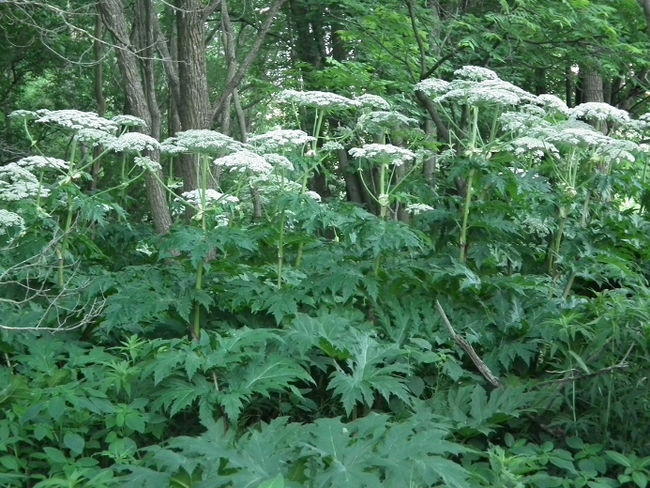 Cow Parsnip is not considered dangerous like the giant hogweed. 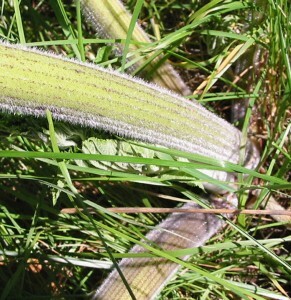 In fact, Native Americans ate the peeled raw stalks which has given rise to one of its nicknames, “Indian Celery.” Some people still eat cow parsnips and there are recipes online for such things as candied stalks, stalks roasted with soy sauce, stalks stuffed with cream cheese, and even mixed into ice cream! One website states, “Cow parsnip’s immature leaf and flower stalks are quite tasty. 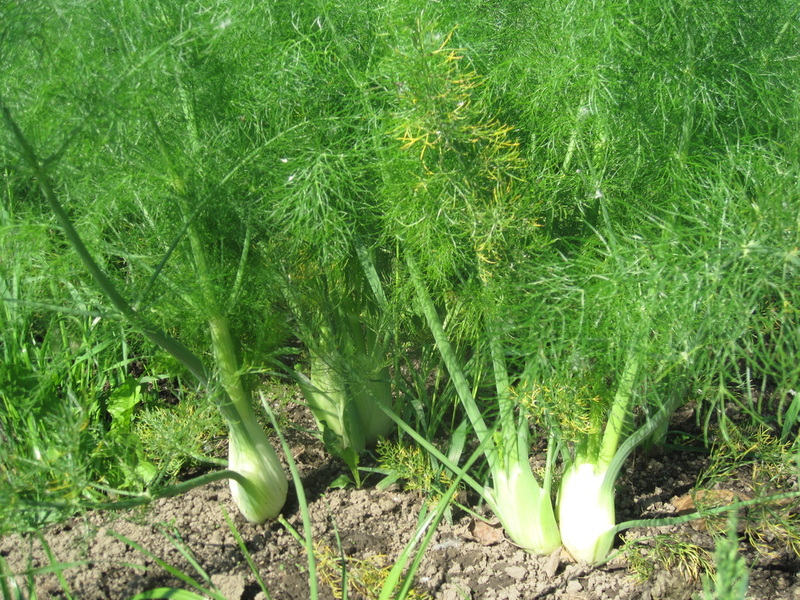 They are particularly delicious oven-roasted and tossed with olive oil and salt…the portion of stalk surrounding leaves and flowers which haven’t yet emerged are particularly tasty” (http://www.laurieconstantino.com/recipe-index/roasted-cow-parsnip-stalks/). However, I’m not trying any of these recipes because the cow parsnip although it is milder, still has a slight danger of the same toxic problems as the giant hogweed. Contact with cow parsnips in the sunlight while sweating or unpeeled stems touching the face or lips can cause a skin irritation. It’s recommended that the stalks be peeled before eating which seems to alleviate most of the issue. They claim it tastes like celery. But the warnings and the possible misidentification creeps me out. I’ll just eat regular celery. 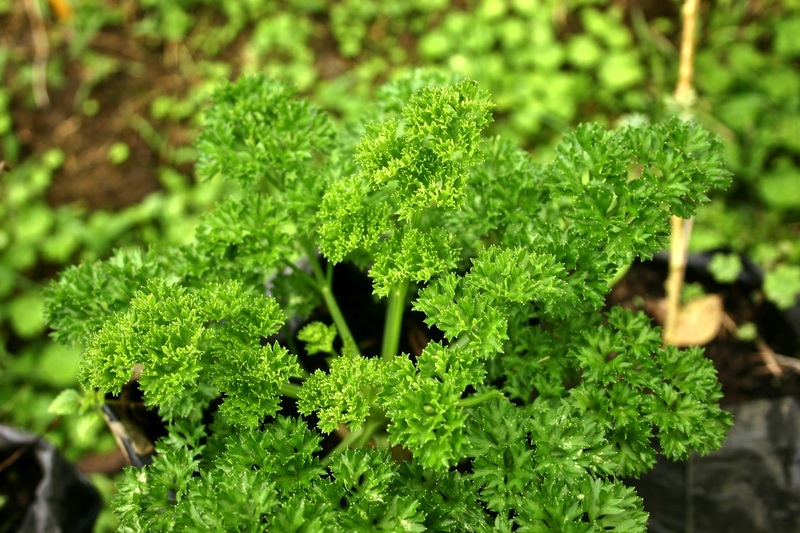 Actually these phototoxic chemicals seem to be found in greater or lesser amounts in many of the plants in the carrot family such as celery, carrots, and parsnips. There have been reports of people who handle celery a lot, such as celery field workers, factory canners and field workers, affected by abnormal skin redness and blisters. It’s just the concentrated amounts in the giant hogweed that makes it an issue. But there’s more. After discovering the cow parsnips at my sister’s cabin I was visiting my brother in southeastern Wisconsin and came across some Queen Anne’s lace, this time for real. Queen Anne's lace is also known as "wild carrot." 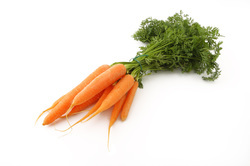 It was originally from Europe, and the carrots that we eat today were cultivated from this plant. People can eat the large taproot and American colonists did. 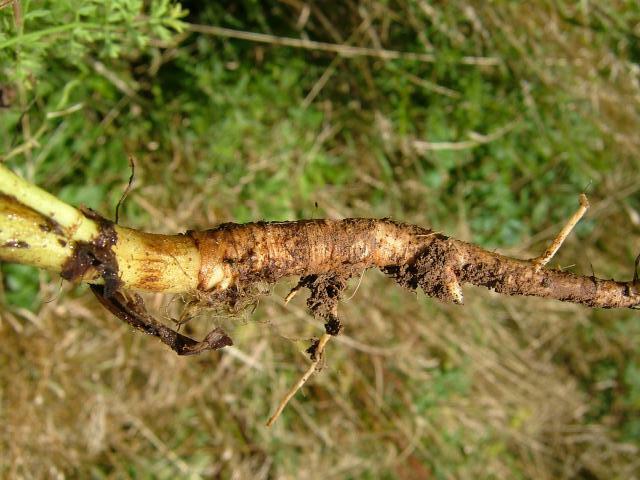 The roots are high in sugar (second only to the beet among root vegetables) but, like the giant hogweed and cow parsnip, the leaves of the plant are toxic, and may irritate the skin so caution is necessary when handling the plant. 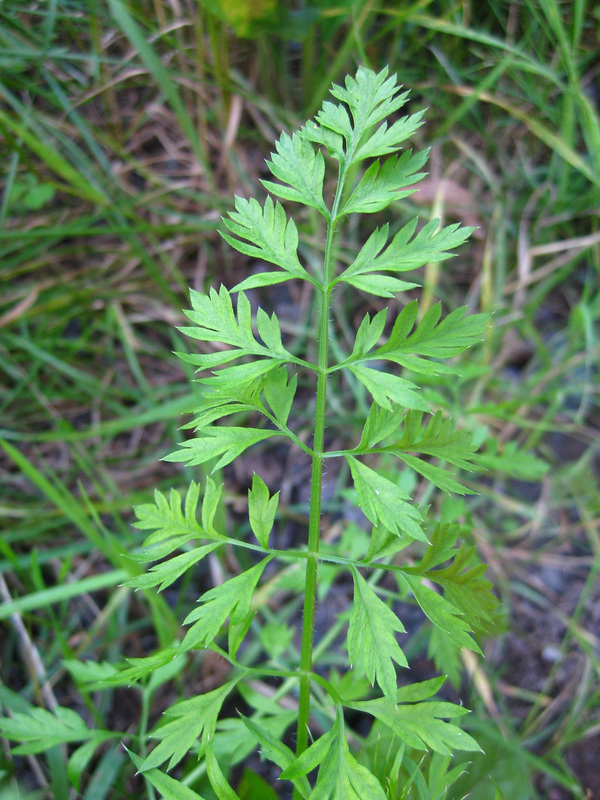 Also, because of it’s similar appearance to the very poisonous water hemlock it is probably best to avoid experimenting with this plant as well -- stick with cultivated carrots. 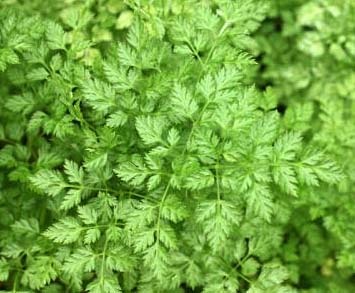 The Lacey appearance of the leaves, which look similar to the carrot, are helpful in identifying Queen Anne's lace. A final similar plant in this discussion is Angelica which will also grow to be quite tall its second year, up to ten feet. It also contains the same chemicals in its tissues which make the skin sensitive to light. Yet many enjoy eating candied angelica stems and the roots and seeds are sometimes used to flavor gin. I had no idea so many common plants belonged to the carrot family. 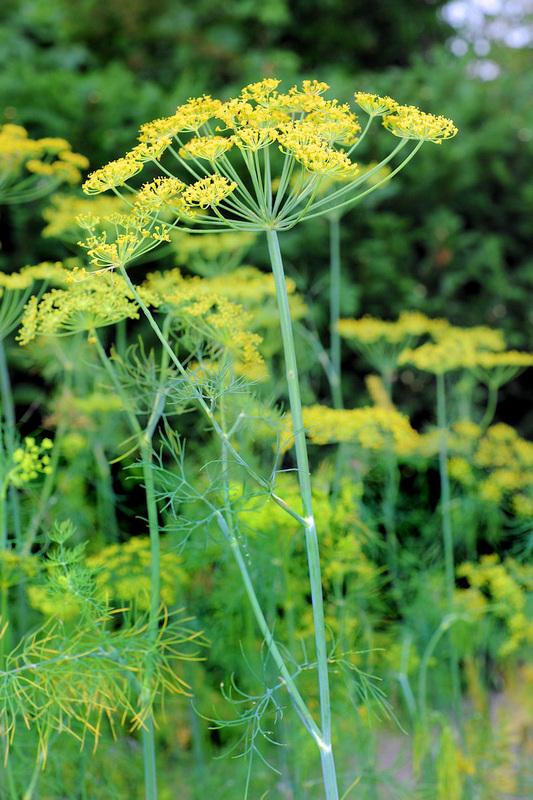 Besides the giant hogweed, cow parsnip, Queen Anne’s lace and angelica already mentioned, many other common herbs are also “carrot relatives” -- dill, fennel, lovage, parsley, parsnips, cicely, coriander (which is the same as cilantro) cumin, anise and chervil. 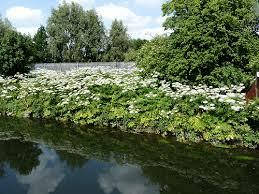 The giant hogweed is the most toxic but others in the family have been to cause dermatological issues. Plants are fascinating things!